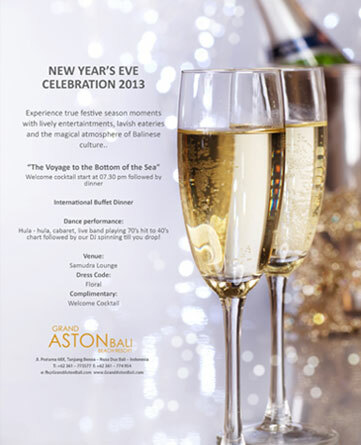 Bali, 20 December 2013 - Each year, Archipelago International’s hotels host some of the most exciting New Year's Eve celebrations in Bali. This year, a variety of celebrations will boast different themes that are set to gather the crowds to celebrate a New Year of happiness and fortune ahead. “The various attractive offers and celebrations that we are holding for New Year’s Eve are part of our commitment to creativity and development that continues to give us satisfaction each year. 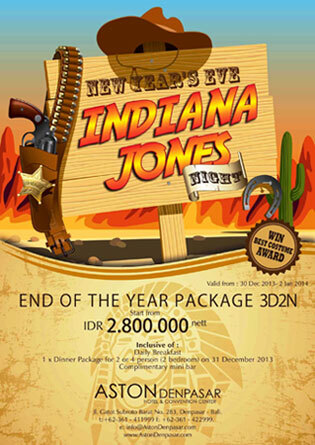 We thank our guests and our friends for giving us the opportunity to serve during the year 2013, and we vow to always improve each year with top care and priority. We wish you a very Happy and Prosperous New Year!” says Norbert Vas, Vice President Sales & Marketing Archipelago International.